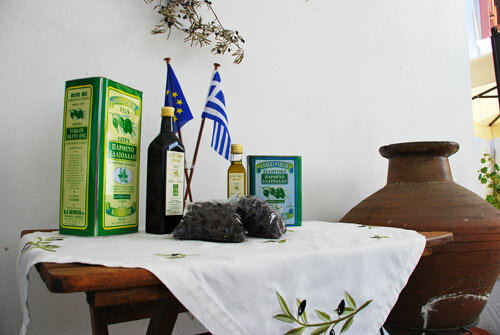 Olive oil has been produced in our family-owned and operated factory for four generations. 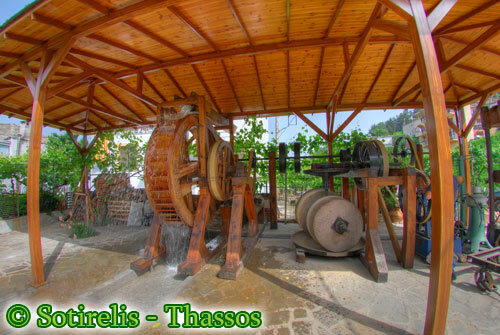 The production was completely based on our water mill. When the production started in our factory in 1915, water from the three mountain springs was used to power the mill. 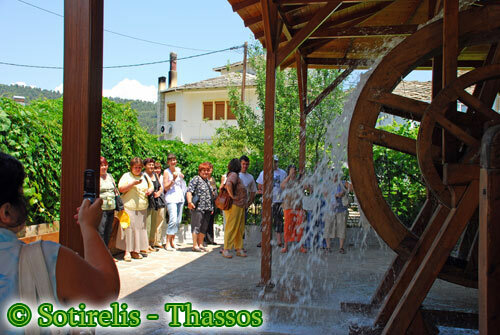 The water turned the mill and the power generated was transmitted to the machinery to produce olive oil. 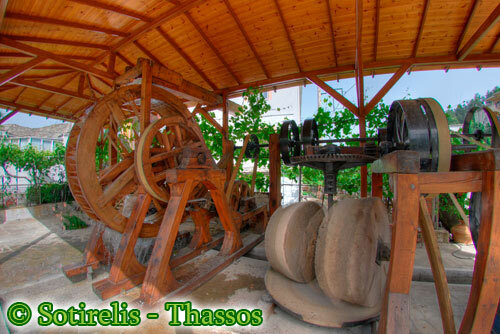 Our watermill is the only one still functional in Greece where you may come and watch it work. Our factory went through many technological advances year by year when electricty became available on the island in 1968. 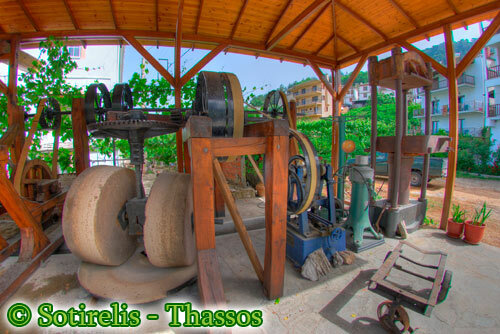 You can see many industrial machines that were brought in over time to help improve olive oil quality, output and speed. 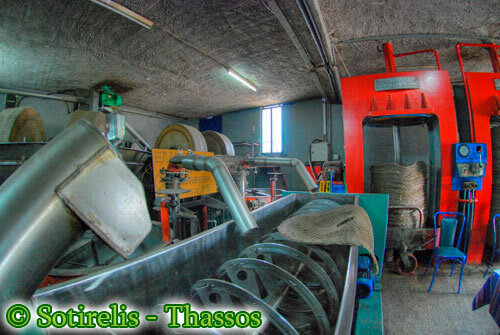 Our olive oil factory produced oil until 2007. 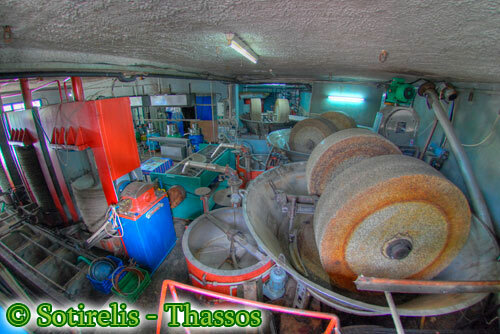 Throughout its lifetime, many improvements and modifications were introduced allowing it to produce more olive oil than any other traditional style factory in Greece. 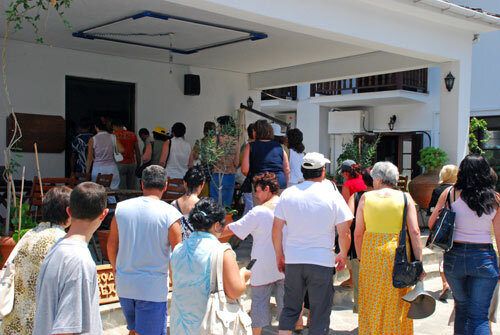 Here is where you can look at our finnished products and also take a tour of our exhibit. 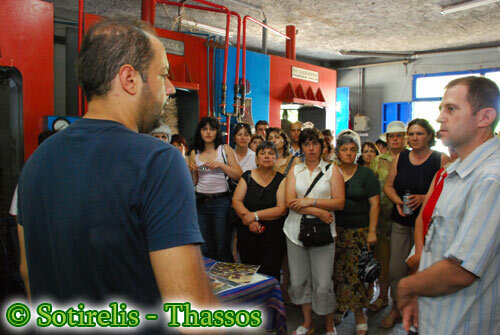 The exhibit takes you through the process of how we used to produce olive oil with the traditional method. 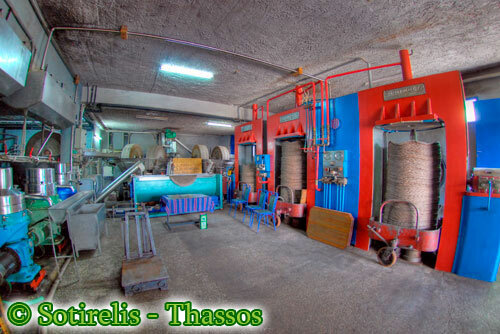 We have many pictures and also a video that our visitors may watch to learn about the entire production process. 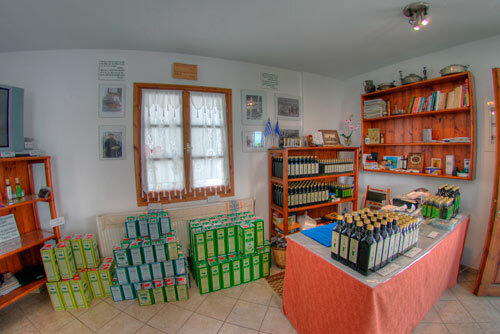 Here you can learn the steps from picking the olives from the trees all the way to pouring the olive oil into the bottles. 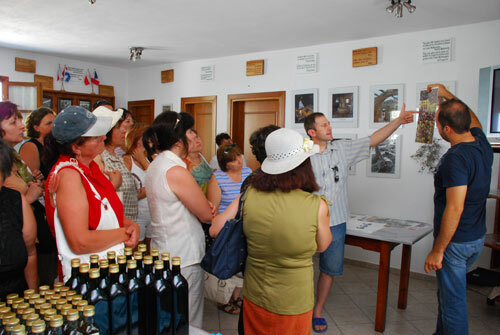 Also learn interesting information about olive oil, olive trees and olives. You can also buy our products here.